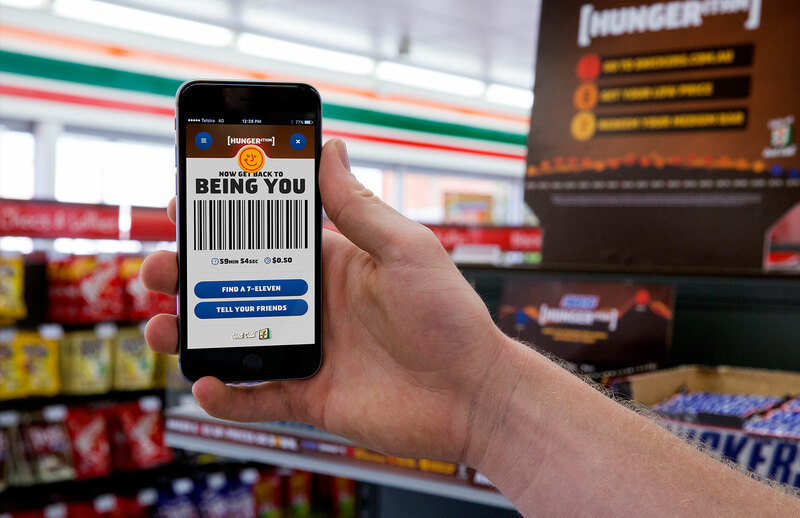 Snickers has dreamed up one of the cooler online/offline advertising-meets-point-of-sale hybrid campaigns of the year, introducing a "Hungerithm" that gauges the mood of the Internet and adjusts the price of its candy bars in 7-Eleven stores accordingly, in real time. The angrier the Internet, the cheaper the candy—to make everyone a bit happier. It seems like a pretty robust and responsive system, too. Created by Clemenger BBDO Melbourne, the Hungerithm—rolling out first in Australia—is built on a 3,000-word lexicon and analyzes around 14,000 social posts a day. It even understands slang and sarcasm, the brand claims. Check out the case study below, which explains a bit more about how to lock in a price at any time using your smartphone. The campaign is another inspired addition to the brand's "You're Not You When You're Hungry" positioning. And considering how enraged the Internet, and the world, have been getting lately, a campaign that promises to ease anger is particularly timely now. 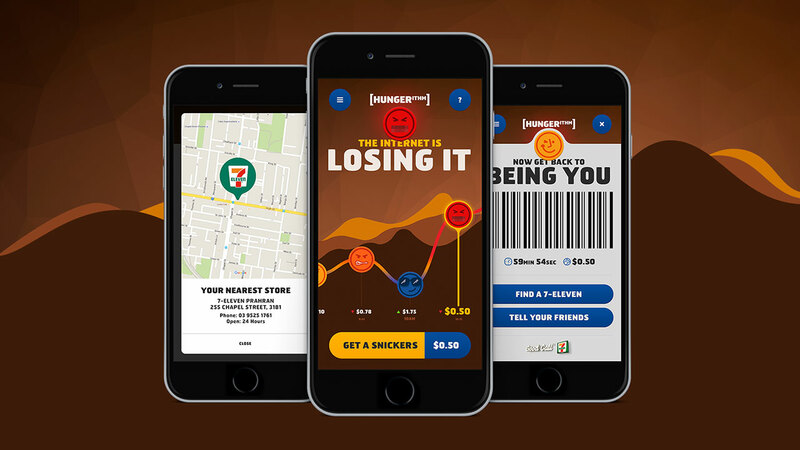 Indeed, Snickers is already hinting at taking the Hungerithm beyond Australia (where the campaign, which includes video, digital, outdoor, PR and social, runs through June 27). 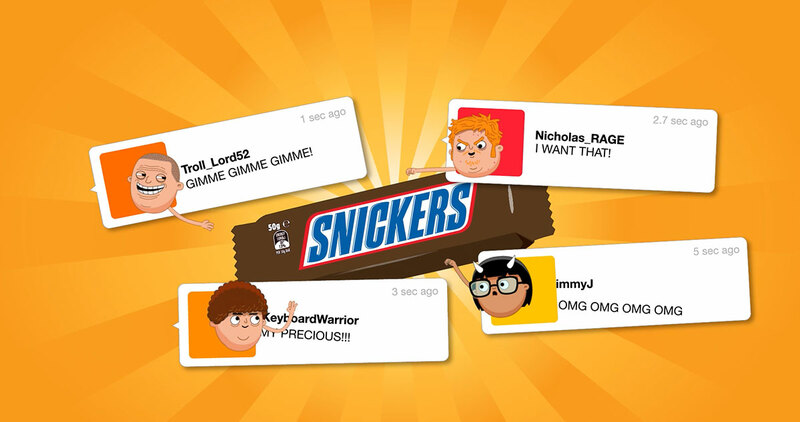 "We're hoping this shows consumers that Snickers is on their side during trying times, and we plan to satisfy even more hungry consumers by rolling the Hungerithm out globally in 2017," says Renee Lewington, Snickers marketing manager at Mars Australia. "Considering how quickly the Internet can swing from a place of sharing and enlightenment to one of incredible vitriol, we felt this was the perfect way to bring the, 'You're Not You When You're Hungry' platform to life," adds Clemenger BBDO Melbourne executive creative director Ant Keogh. "A data-led idea that changes the price of a global FMCG brand is an amazing opportunity. 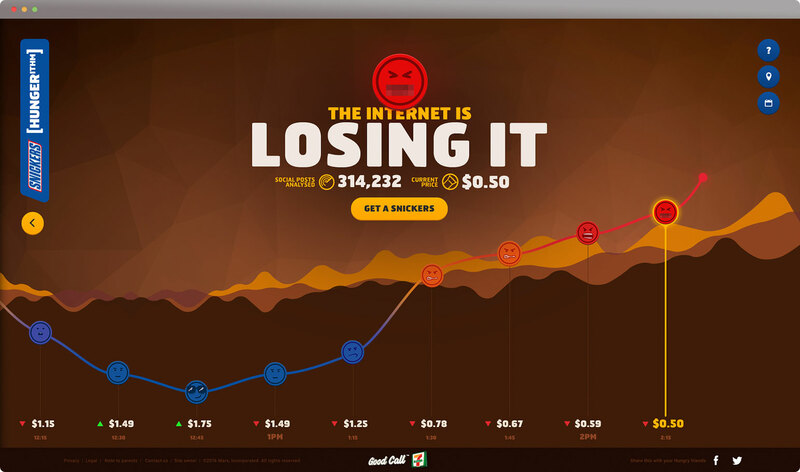 To launch it at scale through 7-Eleven is something else again."